Bright green mums, bells of Ireland and hydrangea accented by yellow lilies. After the rain everything seems brighter and greener, like this tall vase of lush green and yellow blooms. 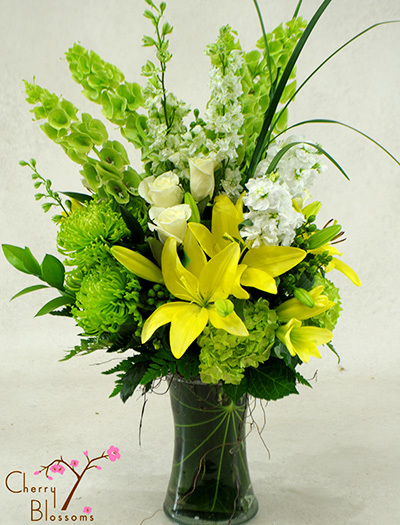 Bouquet features green mums, bells of Ireland and hydrangea with Asiatic lilies in yellow.